Former Prime Minister Yitzhak Shamir died Saturday in Tel Aviv. He was 96 years old. Shamir was Israel's seventh prime minister and served two terms in office, 1983–1984 and 1986–1992. "Yitzhak Shamir was a brave warrior for Israel, before and after its inception. He was a great patriot and his enormous contribution will be forever etched in our chronicles," President Shimon Peres said in a statement. "He was loyal to his beliefs and he served his country with the utmost dedication for decades. May he rest in peace." Prime Minister Benjamin Netanyahu lauded the former leader, saying that "He was a paragon of loyalty to the Land of Israel and the eternal values of the Jewish people." "Yitzhak Shamir belongs to a generation of giants, who founded the State of Israel and fought for the freedom of the Jewish people in its land," Netanyahu said. "He led Israel with deep loyalty to both the people and the land." Opposition Leader Shelly Yachimovich offered her condolences over Shamir's death: "He was a determined prime minister who dedicated his life to the state. He followed his ideological path honestly and humbly, as a leader should," she said. "The citizens of Israel will always remember the wisdom he demonstrated during the First Gulf War. He showed restraint and saved Israel from undue entanglement in the Iraq War. This decision proved to be a brave and wise act of leadership." 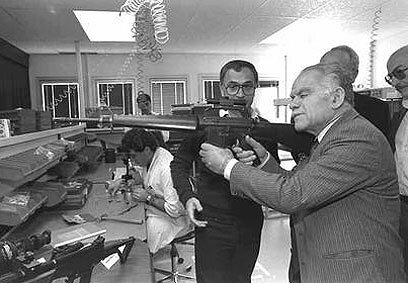 Foreign Minister Avigdor Lieberman said that Shamir "Contributed greatly to the foundation of the state, which he served his entire life with loyalty and unwavering dedication. "He set an example in each position that he held," the foreign minister added. "I had the privilege to be personally acquainted with Shamir, and I will always remember him and his great contribution to the state." Defense Minister Ehud Barak added: "His whole life, Shamir was as stable as granite and maintained focus without compromises. He always strived to ensure Israel's freedom. "His devotion knew no bounds," Barak said, adding that the former leader "always sought what's right for the people of Israel and for the country's security." Gilada Diamant, Shamir's daughter, said that her father "belonged to a different generation of leaders, people with values and beliefs. I hope that we have more people like him in the future. His political doing has undoubtedly left its mark on the State of Israel. "Dad was an amazing man, a family man in the fullest sense of the word, a man who dedicated himself to the State of Israel but never forgot his family, not even for a moment. He was a special man," she added. Shamir will be laid in state in the Knesset Plaza in Jerusalem on Monday. He will receive a State funeral and will be laid to rest in the Nation's Great cemetery on Mount Hertz. Born Icchak Jaziernicki in Ruzhany, Russia, Shamir joined the Revisionist Zionist youth movement Beitar as a teenager. When he turned 20, he left his law studies in Warsaw to move to then-British Mandate Palestine and enrolled in the Hebrew University of Jerusalem. In 1944 he met and married his wife, Shulamit. He became involved with such Jewish paramilitary groups as the Irgun ("Etzel") and "Lehi," and was subsequently imprisoned by British authorities for his activities. In 1943, he escaped from the detention camp where he was being held and became a leading figure in Lehi. In 1946, Shamir was again detained by the British and sent to a prison camp in Eritrea. In 1947, he escaped and later found political asylum in France. He returned to Israel and resumed his leadership position with Lehi, until it disbanded in 1949. In 1955 Shamir joined Israel’s Mossad, where he served until 1965. In the mid-1960s he joined Menachem Begin’s Herut movement, which later would become the modern-day Likud. In 1973, Shamir was elected to the Knesset for the first time, as a member of Likud, and served on the Foreign Affairs and Defense Committee. In 1977, after being reelected, he served as Knesset speaker. In 1980, Shamir became foreign minister in the Begin government following the resignation of Moshe Dayan. 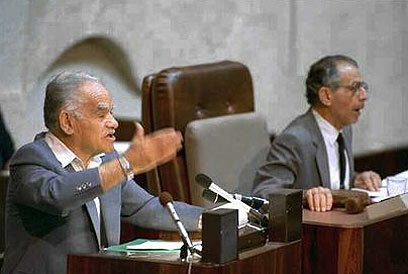 In October 1983, Shamir succeeded Begin as prime minister, and following the 1984 elections, he became vice premier in a national unity government formed with the Labor Party. In the arrangement that lasted until the 1988 elections, Labor and Likud figures rotated as prime minister. 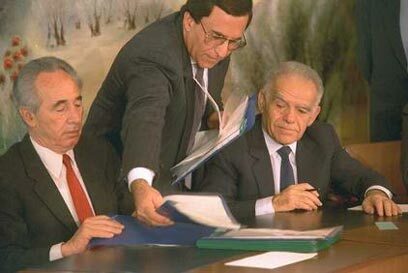 Following the 1988 elections, Shamir again created a national unity government with Labor, but this government fell in 1990 due to a nonconfidence vote in the Knesset. Shamir, however, managed to create a narrow coalition government. Shamir was the driving force behind 1991's Operation Solomon, which saw Israel mount an air corridor meant to rescue 15,000 of Ethiopian Jews from the political turmoil brewing after the government of Mengistu Haile Mariam collapsed. In September 1991, Shamir attended the Madrid Peace Conference, much due to pressure exercised by the United States. His right-wing government, however, did not survive the participation of Palestinians from the West Bank and Gaza in the government was dissolved. Following the 1992 victory of the Labor Party, led by Yitzhak Rabin, Shamir resigned as Likud chairman, and in 1996 he retired from the Knesset. In 2004, Shamir's health began to declined and he was diagnosed with Alzheimer's Disease. He was eventually moved to a nursing home, where he would spend the rest of his days. 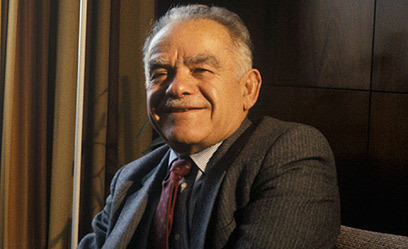 Yitzhak Shamir was awarded the Lifetime Achievements Israel Prize in 2001. In 2005, he was voted the 29th-greatest Israeli of all time, in a poll by Ynet. See all talkbacks "Former PM Yitzhak Shamir dies at 96"